This amazing home by Lifehaus blends low-cost off-grid appeal with with holistic living and luxurious details. 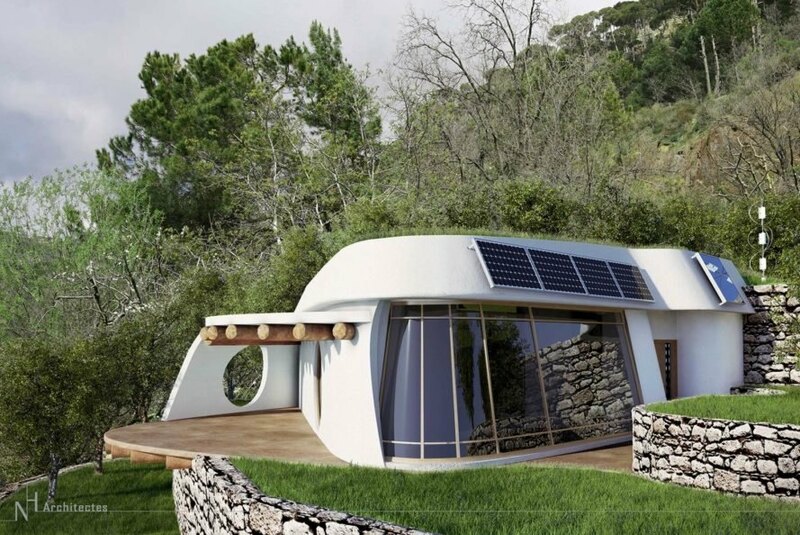 The Lebanon-based company started by Nizar Haddad is pioneering energy-neutral dwellings made from locally-sourced and recycled materials. People living in the green homes will also be able to generate their own electricity, and grow their own food. The dwellings don’t simply offer a sustainable option, but address many societal issues in Lebanon, such as the trash crisis that brought Beirut to its knees last year. Lifehaus homes include a greenhouse for growing food, and solar panels for generating renewable energy. It promotes sustainable water use through rainwater collection and grey water reuse. And all this comes with a price tag of around half the average cost of an unfurnished Lebanese home, which is around $800 per square meter. Lifehaus treats that waste as treasure by incorporating recycled materials in the dwellings. They also allow for composting organic trash for use in the garden as fertilizer. Passive design keeps a Lifehaus cool in the summer and warm in the winter. The homes can be partially buried, with the roofs offering additional food-growing space. This helps them be more earthquake-resistant and minimizes heat loss. The homes’ low cost design could work for housing in developing countries, or for refugees. 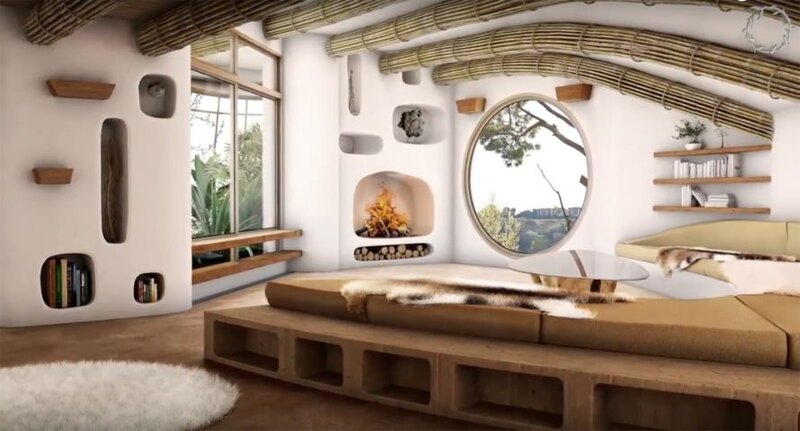 Lifehaus counts Earthship among their sources of inspiration, and creator Michael Reynolds has endorsed the project. Lifehaus is drawing on ancestral building techniques, such as using mud and clay as opposed to concrete, and treating those materials with linseed oil and lime. Construction on the first 1,722 square foot prototype will begin next month in Baskinta, Lebanon, and Lifehaus hopes to get the community involved. Lifehaus just launched a crowdfunding campaign on Indiegogo; you can donate here. When will these houses be available on the European market ? Fabulous! Now is a modular version on the horizon? And of course it's designed in Lebanon. One has to wonder why all the truly avant-garde architecture these days is being designed outside the USA. Why do American house designs have to be SO BORING?! Lifehaus is pioneering low-cost, energy neutral homes in Lebanon. The homes will be built with ancestral techniques and using traditional materials like mud and clay. People living in the homes will be able to generate their own electricity and grow their own food.